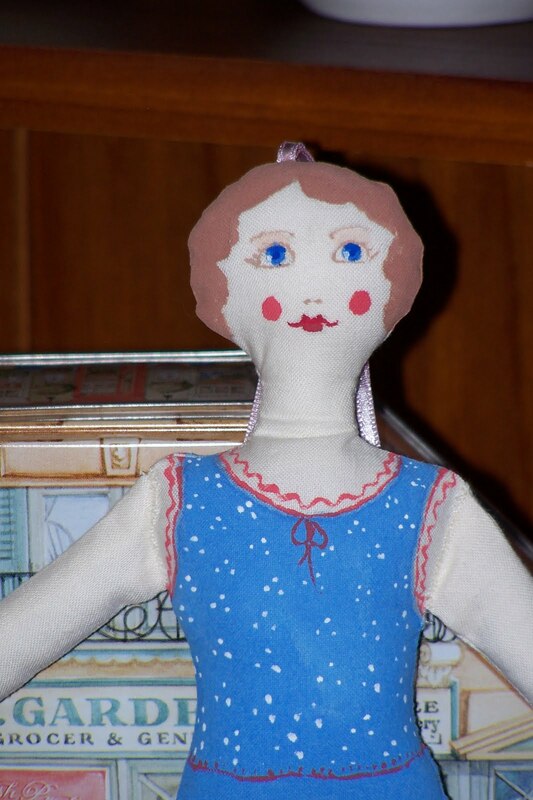 Here is my second painted cloth doll. Her blusher is a little uneven. I was quite nervous painting the face after having to re-paint the last one, but I will tell myself that a little imperfection adds character and that it shows it is not a mass produced doll. 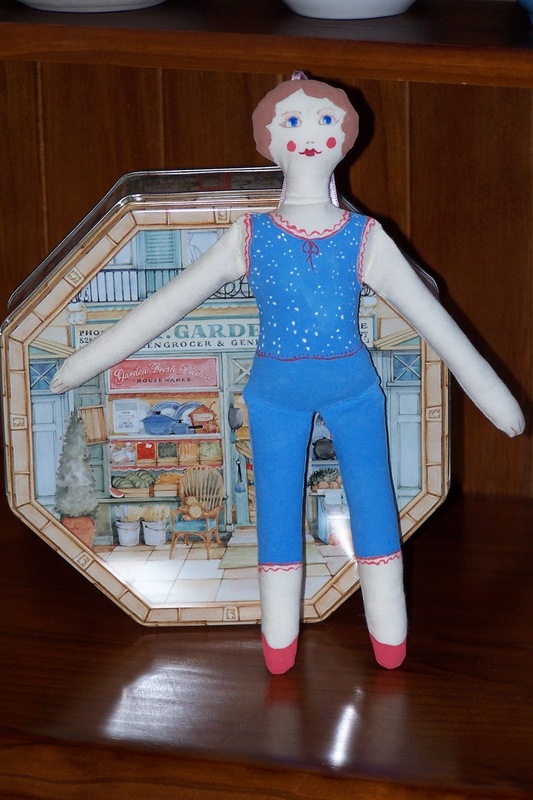 Here is the second doll posing with the first one I made. 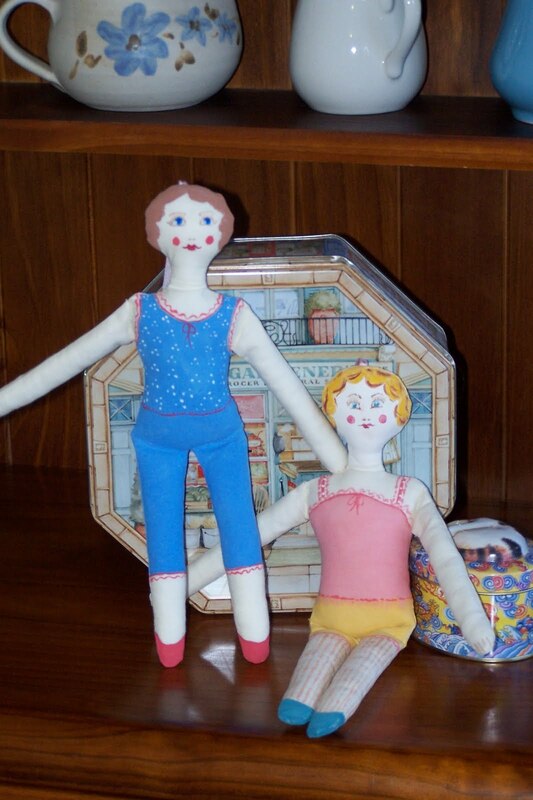 I enjoyed making them and will make some more, but I am gearing up to make my next doll which will have clothing made out of mostly lovely 100 per cent wool felt. And look at this marvellous Op Shop find that I came across this morning. 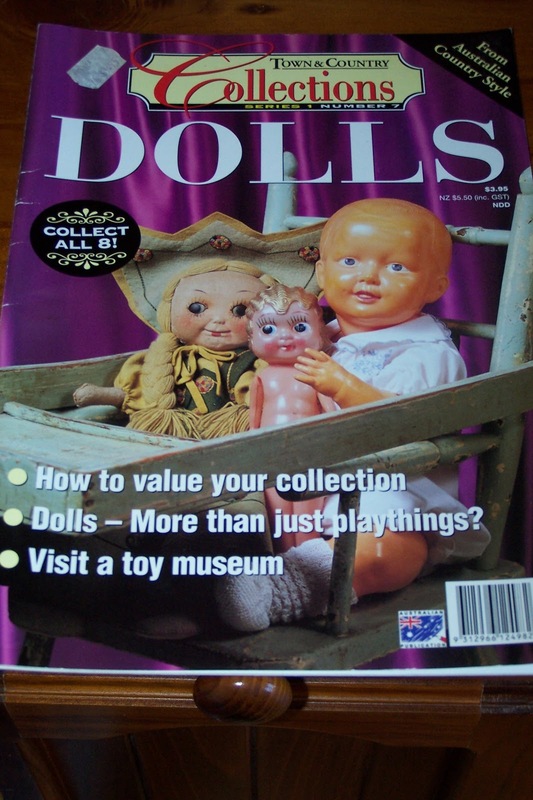 A special edition of Town & Country Collections series on dolls.There are all sorts of articles on old dolls, including Lenci dolls. Very sweet painted dolls! I love the painted clothing. Great idea.